Leaky Gut Syndrome » Blog Archive » Leaky Gut and Candida – the Chicken or the Egg? The question of Leaky Gut and Candida comes up quite a bit in both my personal practice and from my online readers. Sufferers want to know if Leaky Gut and Candida are somehow related and which one causes the other. The truth is that the two are oftentimes related and go hand in hand but they are two entirely different issues to begin with. And either one can easily lead to the other. 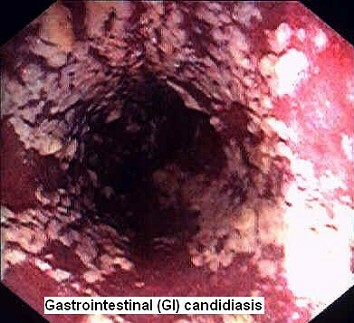 You see, Candida refers to the overgrowth of a specific species of yeast within the digestive tract which if left untreated can and will continue to create intestinal inflammation and dysbiosis that leads to Leaky Gut Syndrome. But the opposite can be true as well. With the onset of Leaky Gut Syndrome and corresponding imbalance of gut flora, your digestive tract can become prime breeding ground for Candida and other invasive organisms. In either case, it’s always related to the imbalance of gut flora within the digestive tract. Most people don’t realize this but Candida is naturally present in your gut. We all have it. In fact, we couldn’t survive without it. If this is true then why does it cause so many problems for so many people? 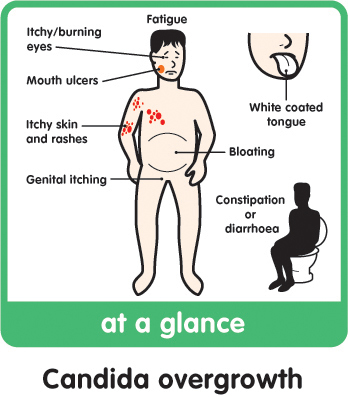 The truth is that Candida is what is called an opportunistic organism. In a healthy gut, it lives under control and balance with the beneficial bacteria within your digestive tract. The problem however occurs when the natural balance of yeast and bacteria within the gut is disrupted which is typically the result of a loss of beneficial bacteria. And when there is no beneficial bacteria left to police and balance the Candida, then a dysbiosis develops and the Candida is given the opportunity to overgrow and take over which is when the problems begin to occur. Candida can cause some issues when it begins to take over and overgrow in the gut. But much bigger problems arises when you develop Leaky Gut and Candida is able to pass through the intestinal barrier into your blood stream and become systemic. Why is this so important to understand? Because if you’re dealing with any of these issues above then you’re likely not going to get any relief until you begin to fix the underlying cause of the problem instead of treating the symptom. Most people with these issues are constantly using topical solutions, creams, drops, and shampoos which may provide temporary relief but once you stop, the infection comes right back. This is because you have to fix the underlying cause which is really the overgrowth of Candida in the gut that is leaking through the intestinal barrier and feeding the infection from the inside. Otherwise treating the infection from the outside isn’t going to work long term. So how does one overcome Leaky Gut and Candida once it has become systemic? I have gotten the best long term results with Candida infections using specific dietary modifications to help starve off the Candida. But that’s not the end of the fight because you still have to heal your Leaky Gut, close up your intestinal barrier, and rebalance your gut flora. Otherwise the Candida will just overgrow and leak through the intestinal barrier again and continue to be a systemic issue. And you’ll be right back where you started. I will note that there are some natural herbal supplements that can help but alone these are not the answer because supplements alone will not work long term without the necessary dietary modifications. And oftentimes the supplements can be too harsh causing severe die off reactions which can really stress the liver and body and be counter-productive to healing. Because Leaky Gut and Candida are so commonly found together and tend to feed off each other, I have included a separate guide specifically for Candida and other pathogenic organisms in my Leaky Cure Program. Its amazing how you can describe exactly what I’m going through with both of these problems. Thank goodness you are providing this information in the accessible way that you do because its next to impossible to find a doctor to treat this. HI Dan how long did it take you to over come this dreadful irritable condition. Baking soda and apple cider vinegar……anyone drink this combo in a glass of water? Does this kill off yeast? I’ve been suffereing for years and trying to heal my gut and still have lots of yeast, bacteria, and other issues. I’ve been doing Paleo for 3 years with no fruit at all and taking lots of probiotics. Do you find ferments or yogurt to be more effective than pill form? Please help! Been suffering for 20 years last 10 have been healing orginally have Ulcerative Colitis, Bowel disease and now cleared of disease. 10 years ago treated with flagyl and diclamine, which had given me severe candida and gas ulcers. Now still suffering from inflamation of the intestines which I suffer head to toe and have skin irritation. My female organs and areas are chronically inflamed or candida, but will not show on any tests, my Genecologist has been supporting me for the last 10 years from these symptoms. How will I know when my candida and leaky gut are under control I am following the Leaky Gut Program from Karen? And they are right main stream medical doctor’s do not have a clue! @Tim…how much mg. Of garlic is recommended and how often? Thank you! Thanks much for shedding light on a problematic issue that some (or many) doctors don’t understand—and neither did I. My PMD suggested a food allergy + low does of steroids which I didn’t want to start with. As a child I was often sickly and subject to episodes of antibiotics. Little did I know that those meds lay the groundwork for my leaky gut and candida issues today. Your info helps me to grasp just what is happening to my body and how to correct it. Hope is not lost!